This range really does sound fabush! 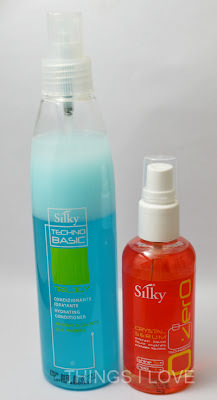 I'd be most keen to try the silky zero crystal serum, you're review has me lusting after it! I'd love to win as I've had alot of issues with my hair since having my children. The pregnancies weakened my hair, and the change in hormones caused breakage and damage to my hair. It would be lovely to try these products. My has been terrible since l cut it all off(from hip length to ear, what an idiot!) and dyed it. I have to get my hair back to itself again. I've never tried these products before. They sound great. Good luck to the giveaway entrants! My hair is in despair, it's in desperate need of a little Silky Colouration care. Hoping this will help my out of control hair! I have subscribed (following via GFC as Di from Max The Unicorn) however for some reason blogger is not logging me in. 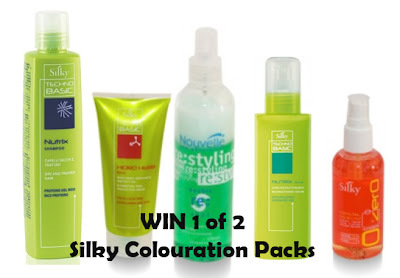 I'd love to win this pack because it looks really pampering and I really need a leave-in conditioner at the moment! I would love to win this pack of haircare products. I struggle to find products that will suit my hair and also be kind to my scalp and vice versa....perhaps these products could be the ones. My hair NEEDS help!,I color,straighten and do all the things you shouldn't! Silky colouration may well be the solution I'm praying for!